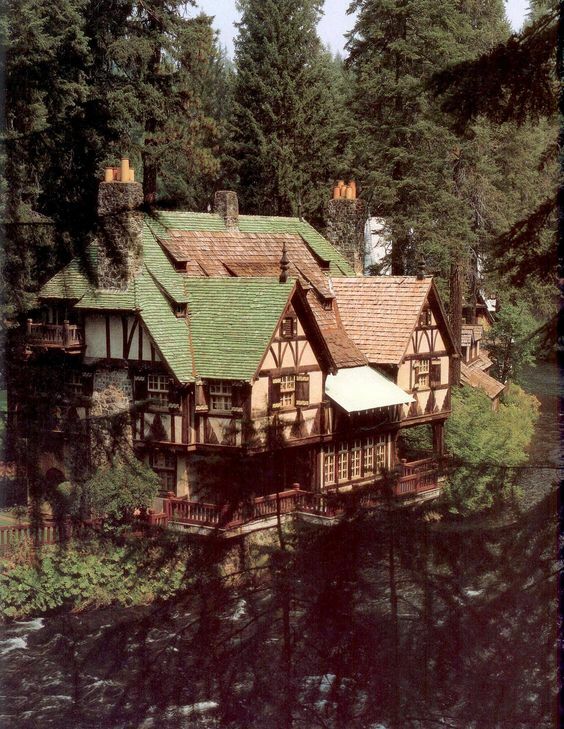 Wyntoon (aka Bear House) on-the-McCloud River, a gothic style estate owned by the Hearst Corporation, is located in Siskiyou County, CA, near Mt. Shasta. It was designed at various times by architects Julia Morgan, Willis Polk and Bernard Maybeck. The original house was designed by Maybeck with an assist by Morgan just before the turn of the 20th century. Completed in 1902, burned down by 1930. Morgan, after the last fire, was commissioned to rebuild the grand Bavarian Gothic castle/Bear House, which stands today. GUEST BLOG / By Sarah Gill, Berkeley E-plaque writer--Julia Morgan (1872-1957) was an extraordinarily prolific Bay Area architect who in the 47 years of her career completed more 700 projects, more than any other architect of her time. In Berkeley alone, she designed over 100 buildings, including such varied masterpieces as the wooden 1910 Julia Morgan Theater in Craftsman Style (originally St. John’s Presbyterian Church, 2640 College Avenue), the elegant 1928 Mediterranean stucco mansion (2821 Claremont Avenue), which served for years to house the University’s vice-president, and the 1930 Berkeley City Club (2315 Durant Avenue), a medieval fantasy executed in reinforced concrete that is listed on the National Register of Historic Places. With its unique combination of Moorish, Romanesque, and Gothic elements, the Berkeley City Club manifests Julia Morgan’s creative eclecticism as well as her solid engineering skills. Berkeley is studded with dozens of simple but elegant Craftsman Style shingled houses that Julia Morgan built for clients, among them her sorority sisters, faculty members, and other friends and family, even including a house for her mother and sister at 2404 Prospect Street (later demolished). 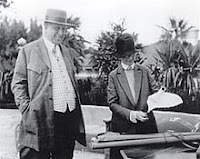 Julia Morgan, AIA, is the architect of record for Hearst Castle (built between 1919 and 1947) for her long time client William Randolph Hearst, the newspaper magnate. 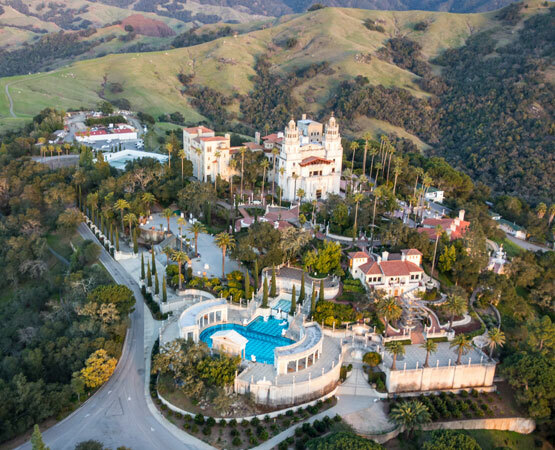 This grand Mediterranean Revival treasure is located on 127 acres along the central California coast at San Simeon. It is now on the U.S. Register of Historic Places. Outside the Bay Area, she is known for her YWCA commissions throughout California, Utah, Arizona, and Hawaii, but above all for Hearst Castle at San Simeon, that is also listed on the National Register of Historic Places. Born in San Francisco and raised in Oakland, Julia Morgan found her calling in Berkeley where she took a degree in civil engineering in 1894 while living at Kappa Alpha Theta, the university’s first sorority. 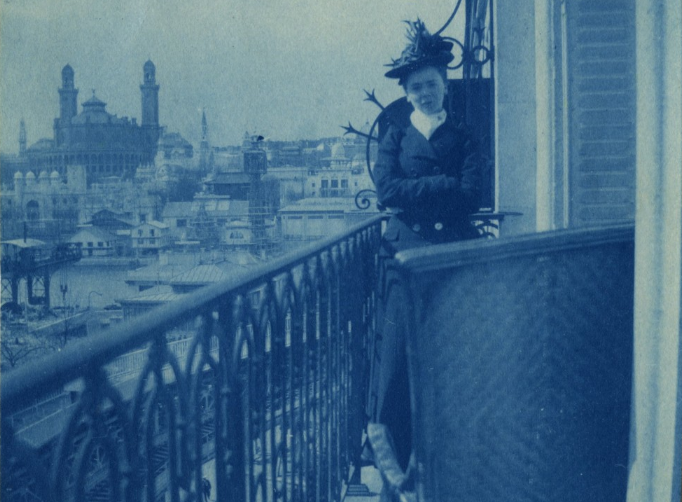 Julia Morgan in Paris 1902. Her engineering studies provided a sound foundation for architecture, and her sorority sisters and friends became future clients. In 1902, she became the first woman to earn a certificate at Europe’s premier architecture school, the École des Beaux-Arts in Paris. She is also the first woman architect to win the American Institute of Architects Gold Medal, awarded posthumously in 2014.
century architectural accomplishments. Many of her projects were for womens groups. 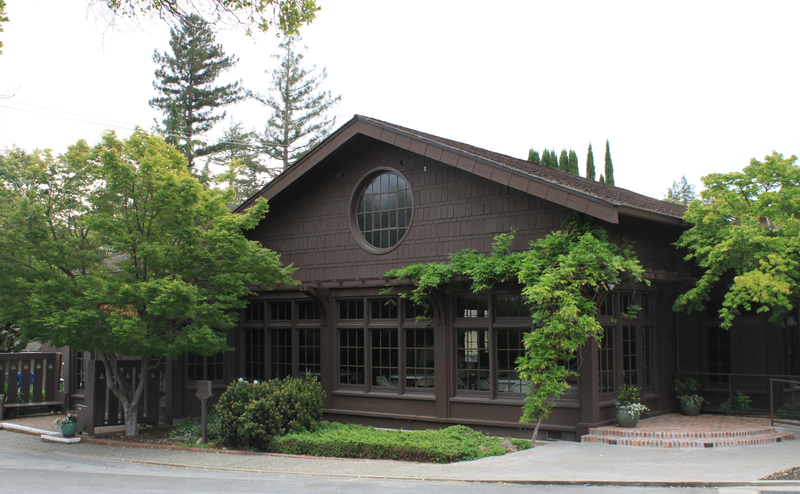 Picture here the Saratoga (CA) Foothill (Women’s) Club is one of them. Built in 1915 from redwood, the brown shingled façade remains a classic and remarkable example of Arts & Crafts architecture.